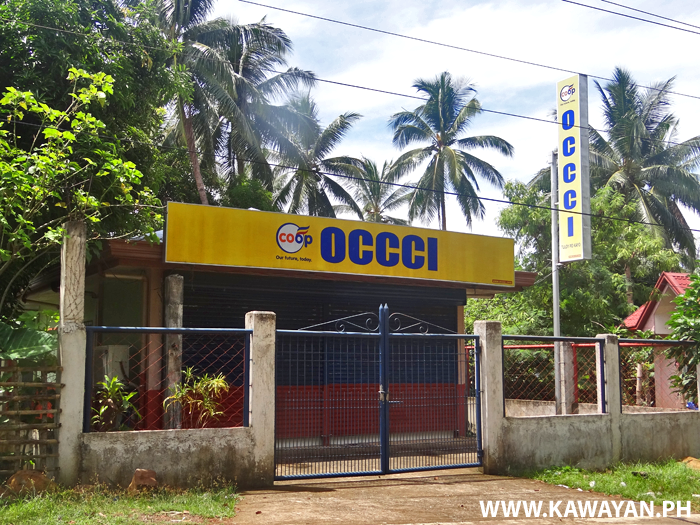 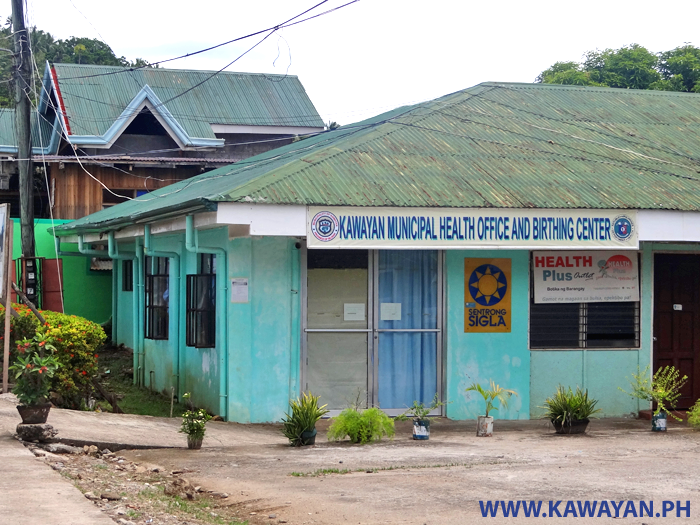 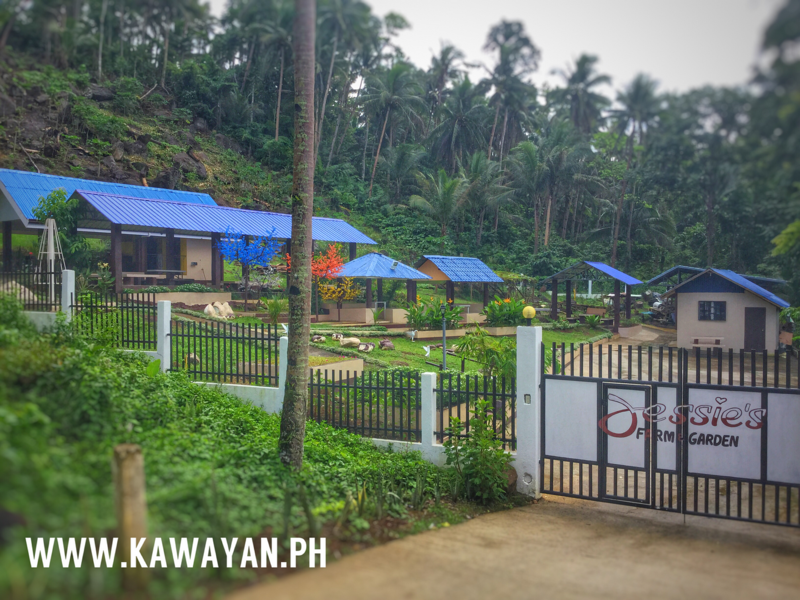 Kawayan Municipal Health Office and Birthing Center in Kawayan Town, Biliran Province. 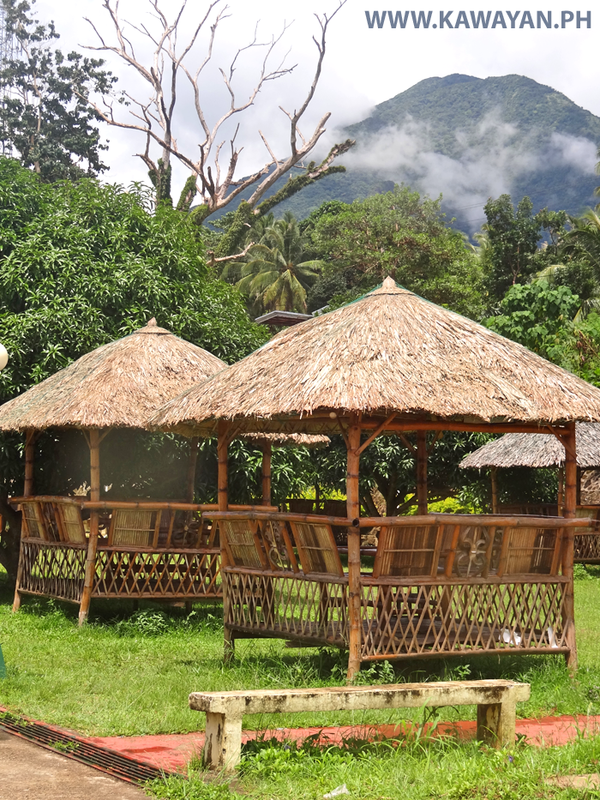 Bamboo Cottages near the Plaza in Kawayan town that were made locally by Ronie Furniture in Bulalacao barangay. 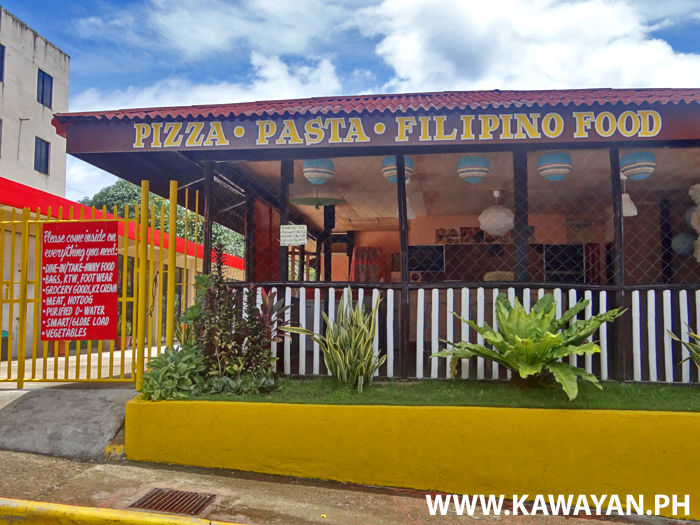 Pizza, Pasta and Filipino Food in Kawayan town, Biliran Province. 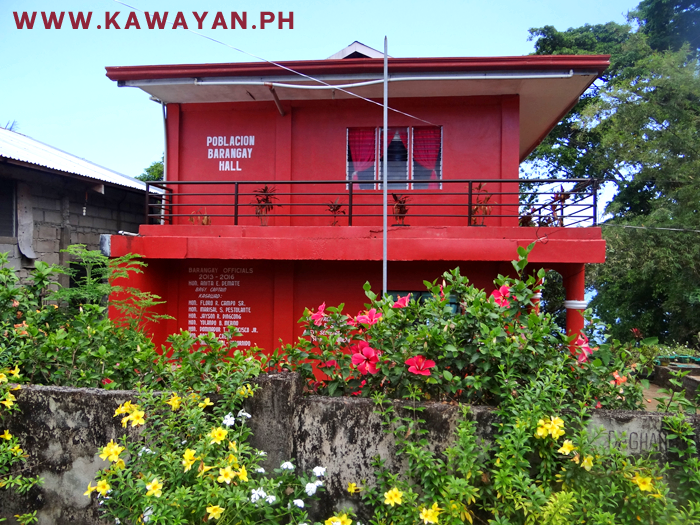 The bright red Kawayan Poblacion Barangay Hall, Biliran Province. 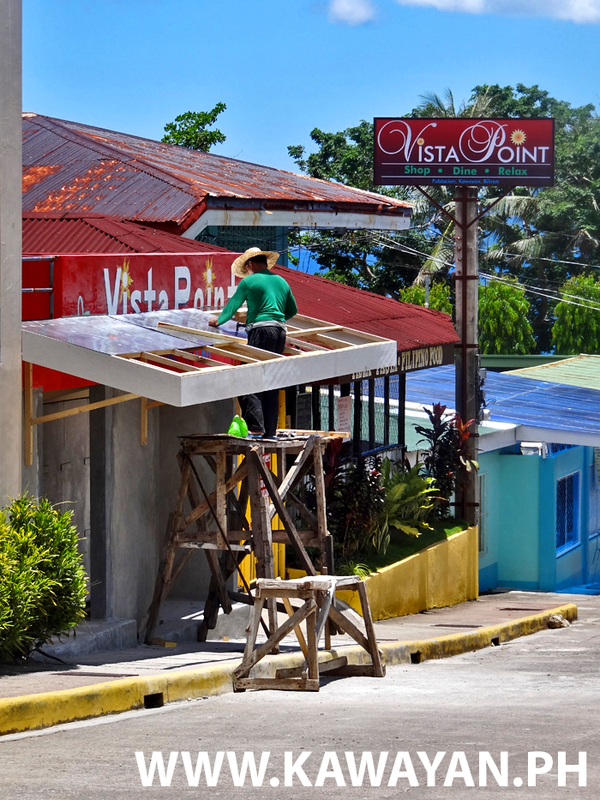 Vista Point in Kawayan town. 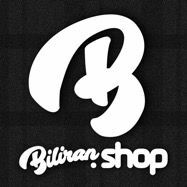 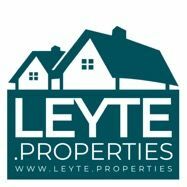 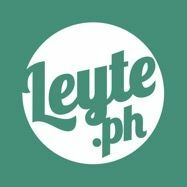 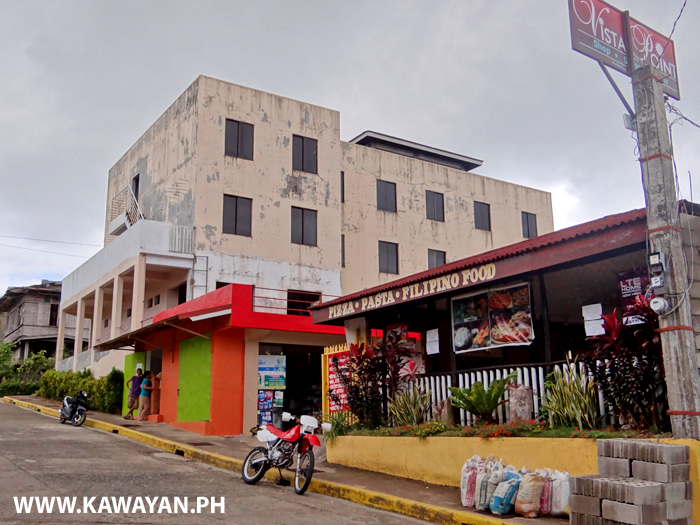 Store, Pizza, Pasta, Filipino Food, and future Hotel? 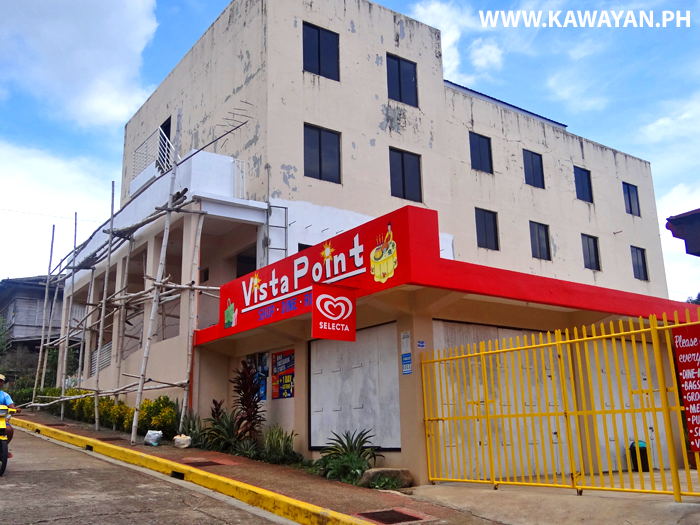 A new Hotel to open in Kawayan as part of the Vista Point complex. 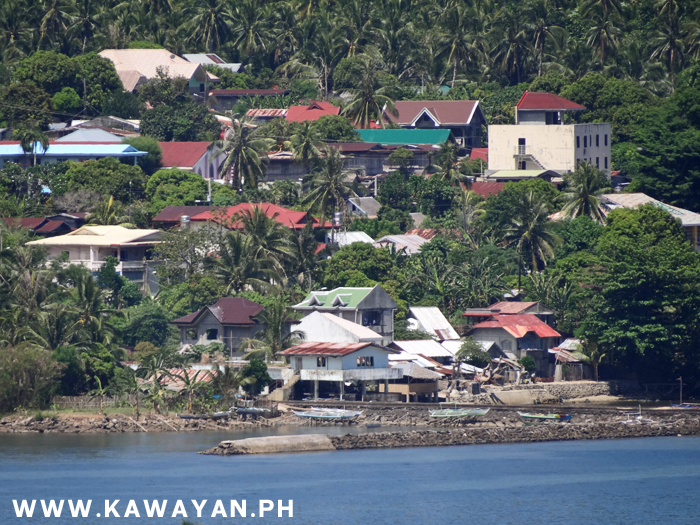 View of Kawayan Town on the north coast of Biliran Island. 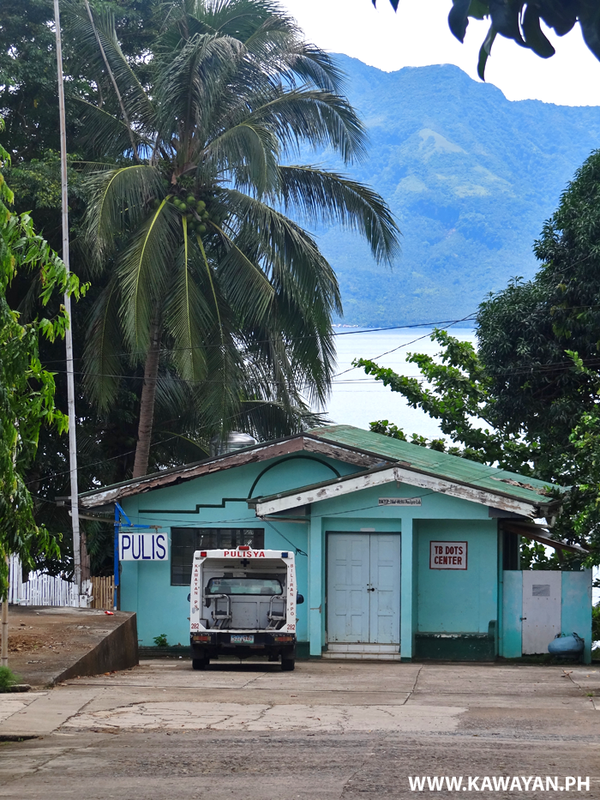 The Police or Pulis Station in Kawayan Town, Biliran Province. 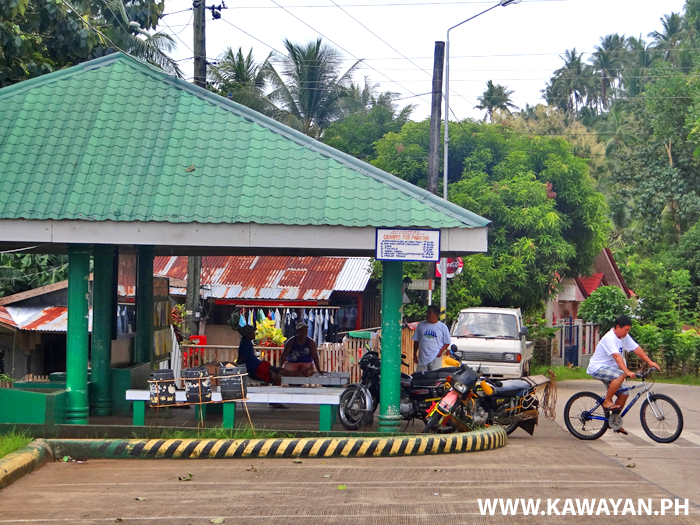 The Terminal or Waiting Shed in Kawayan Town, Biliran Province. 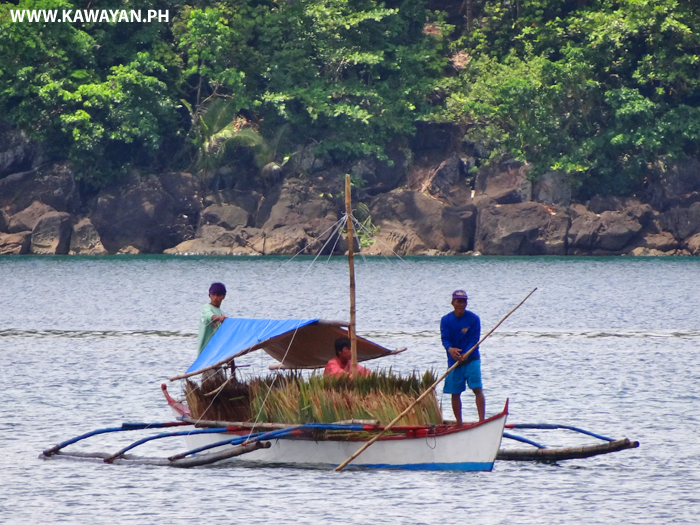 Do you know what this boat is carrying? 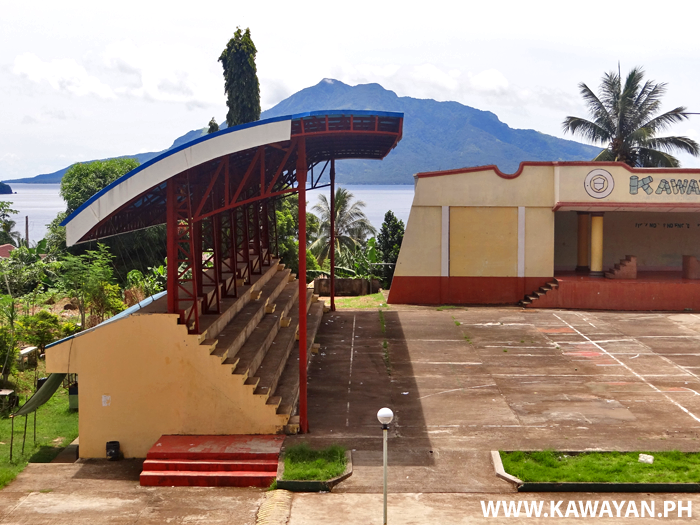 The Vista Point building in Kawayan Town, Biliran Province. 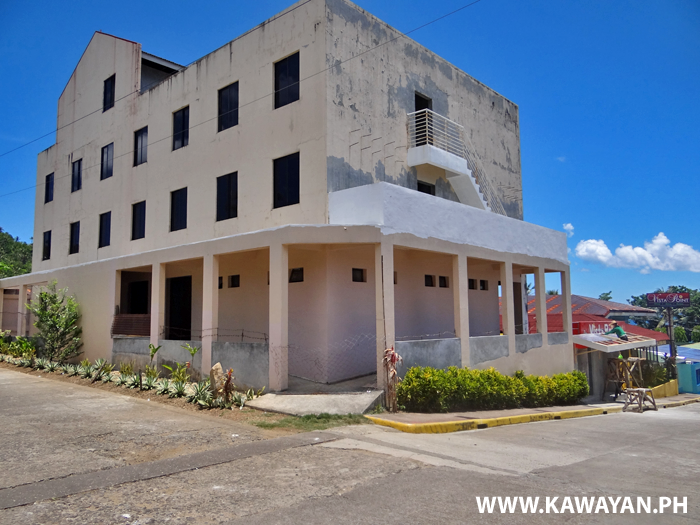 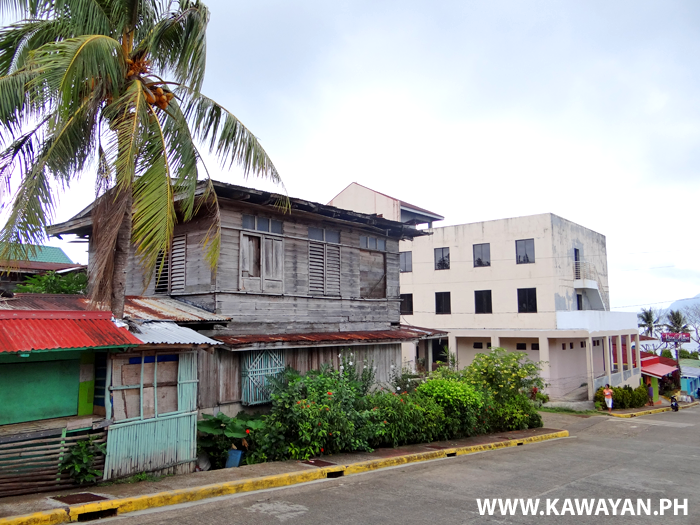 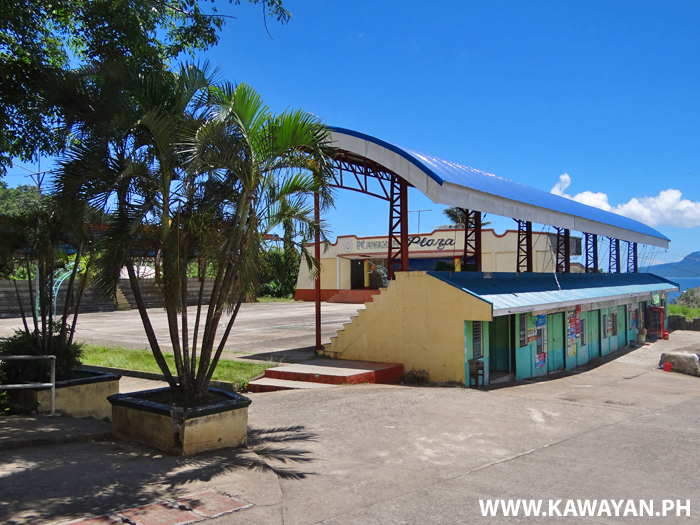 Kawayan Plaza in Kawayan Town at the north west corner of Biliran Island. 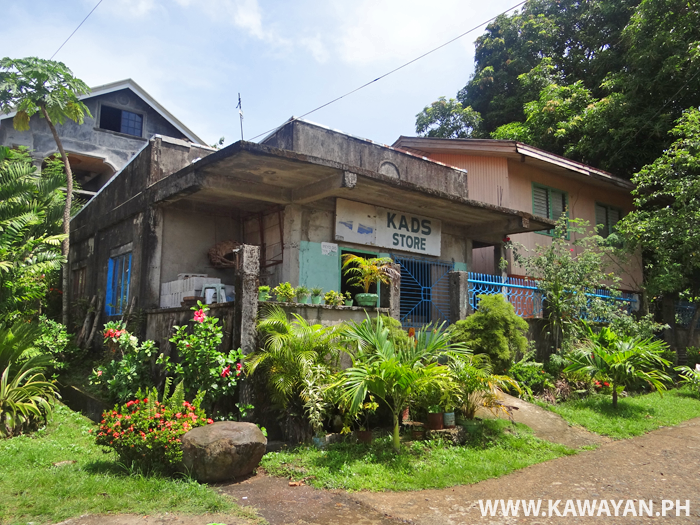 Kads Store in Kawayan Town, Biliran Province. 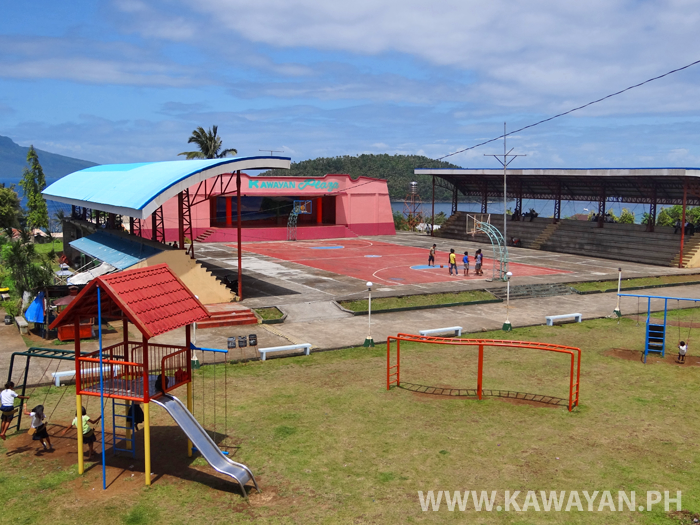 View of Kawayan Town Plaza and Maripipi Island in the distance. 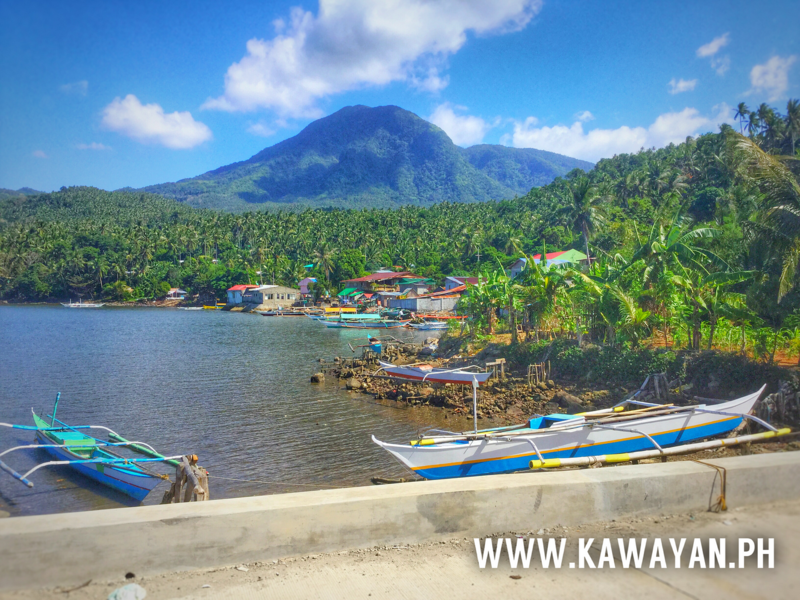 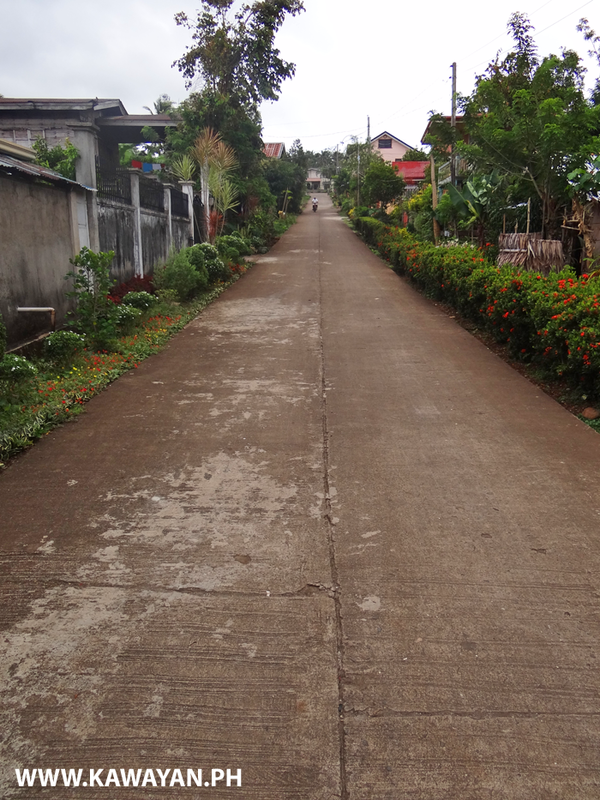 Panoramic view of Kawayan Town and the giant Panamao Volcano that can been seen from so much of Biliran Island. 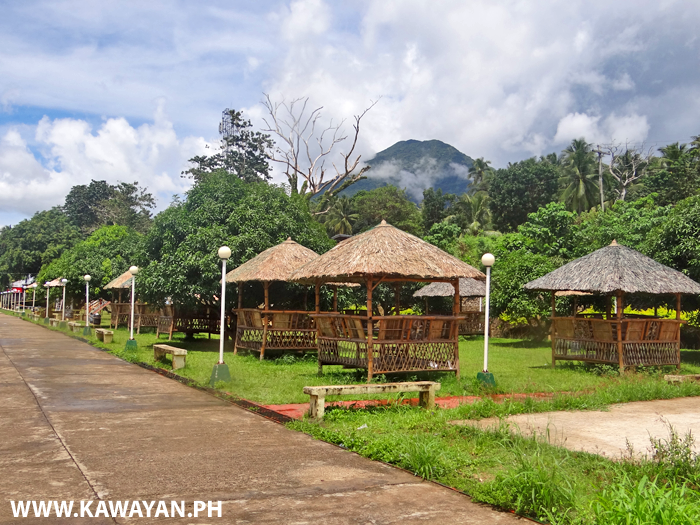 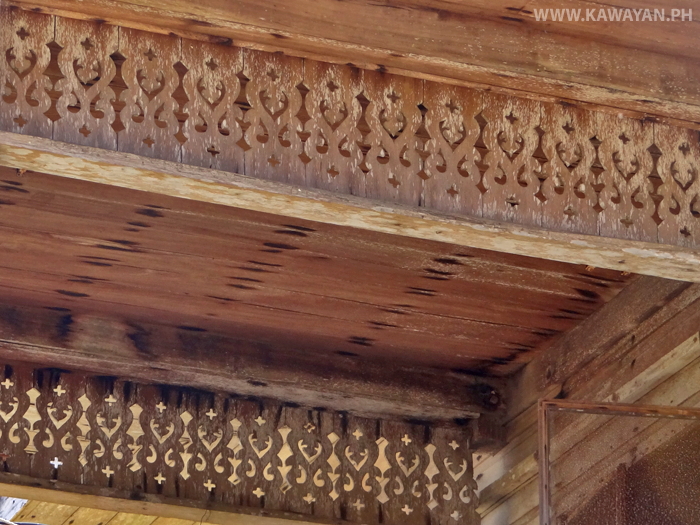 Bamboo cottages at the Kawayan Plaza made locally by Ronie Furniture in Bulalacao. 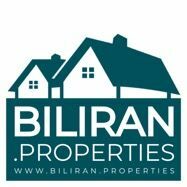 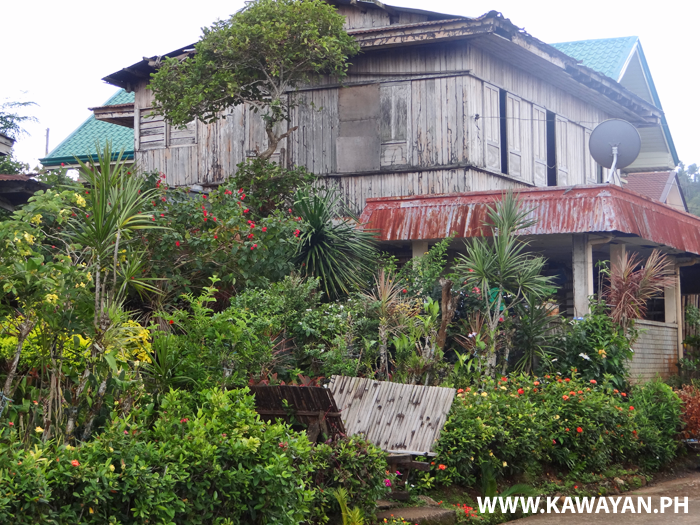 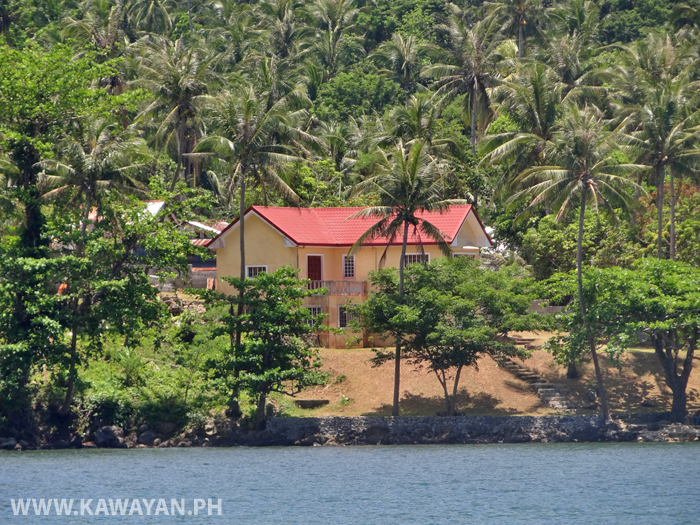 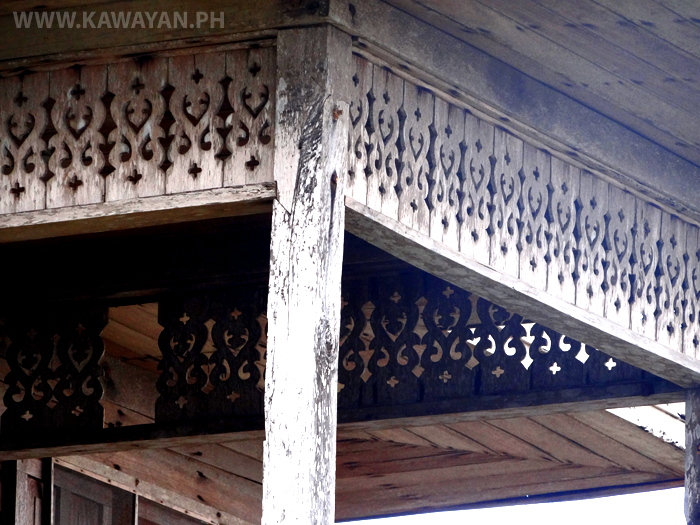 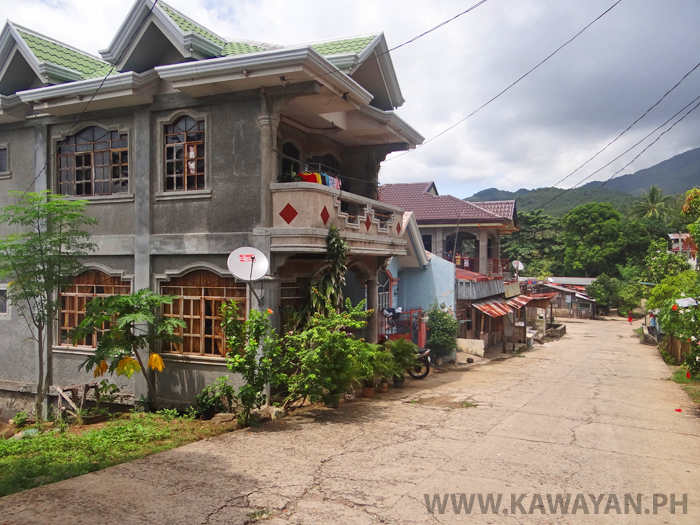 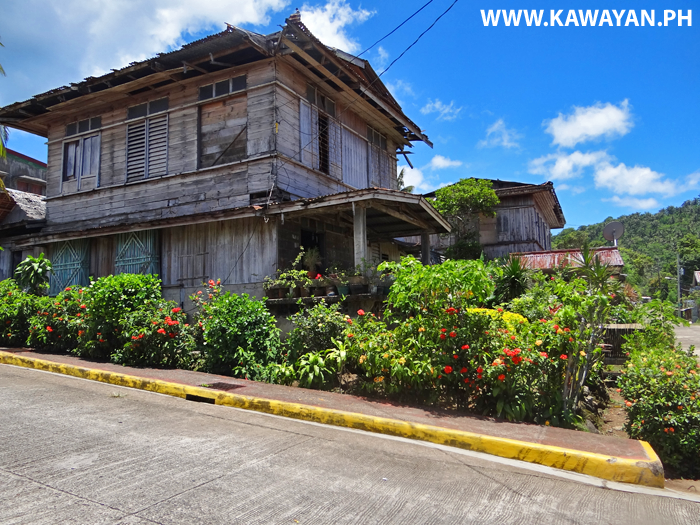 A large house on the shore in Kawayan Town, Biliran Province. 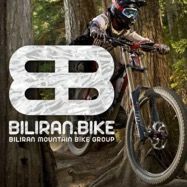 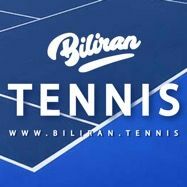 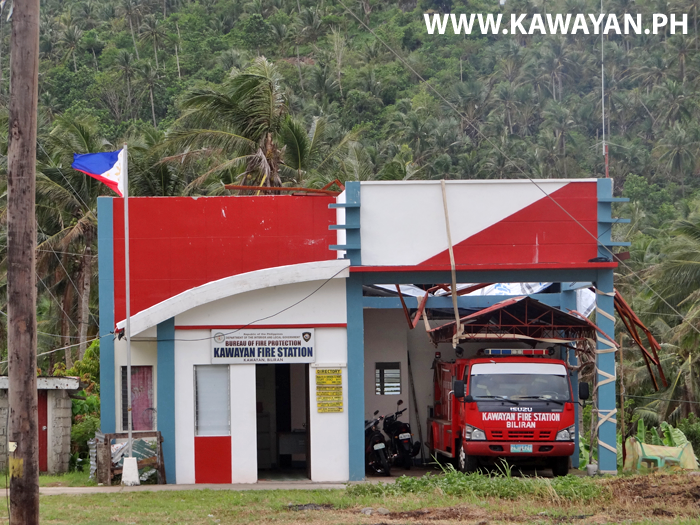 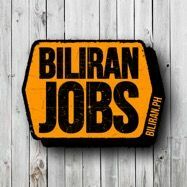 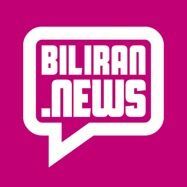 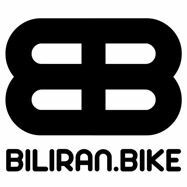 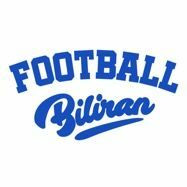 The New Firse Station in Kawayan Town, Biliran Province. 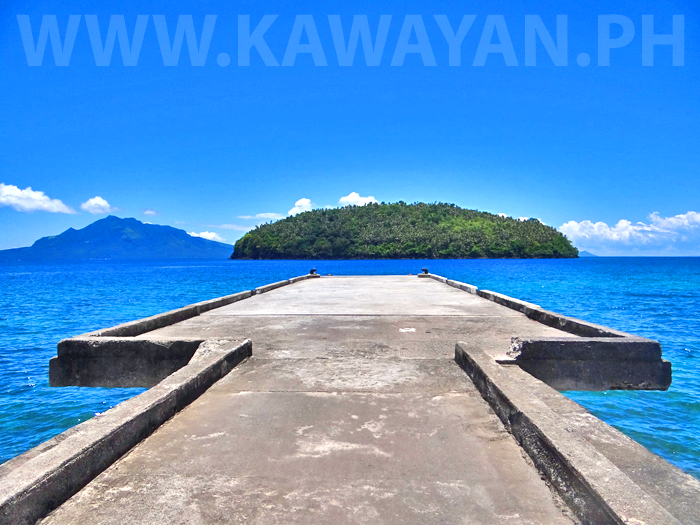 Vista Point in Kawayan Town, Biliran Province. 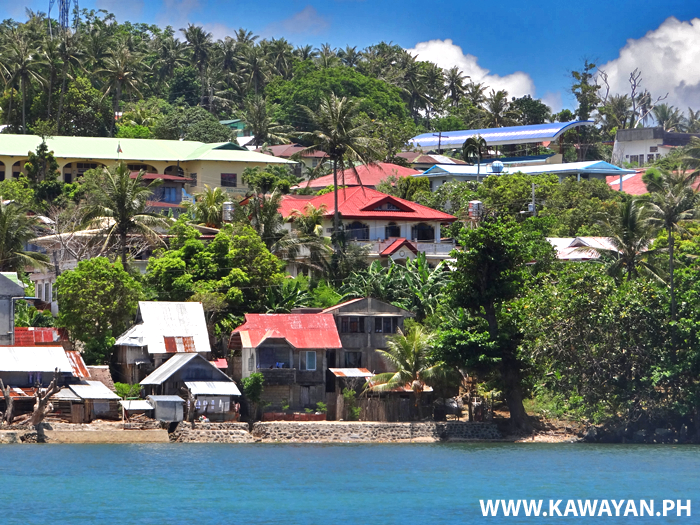 Kawayan Town is built on a hillside, so many of the streets can be very steep, but the advantage is that the town has great views across the sea to Maripipi. 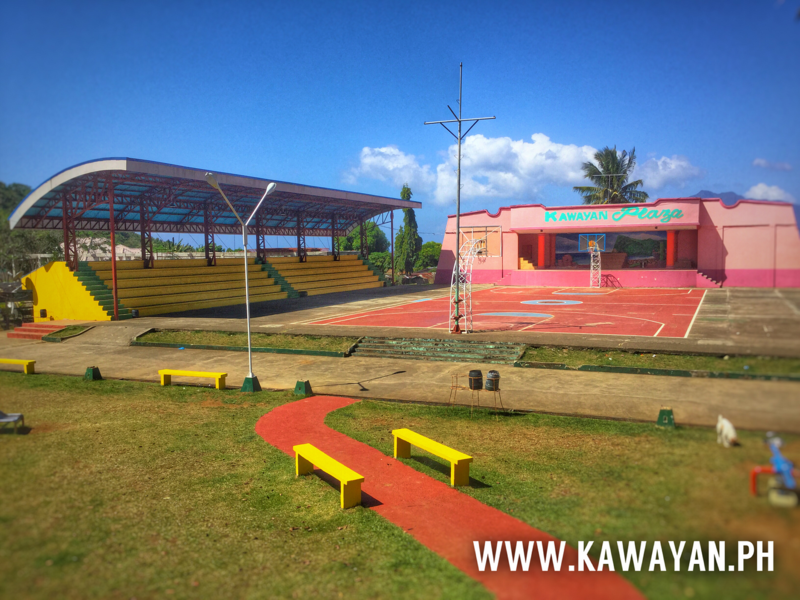 Kawayan Plaza with Stage, Basketball Court, Park and Childrens play area.